Element 2010PM-OR 30 micron for Turbine 500 series €10,96 tax incl. Element 2040SM-OR 2 micron for Turbine 900 series €13,24 tax incl. 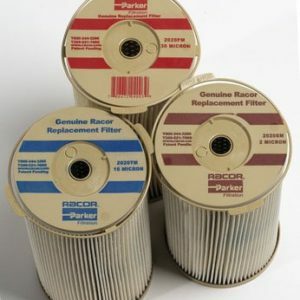 Racor Marine Spin-on Series filters use Aquabloc® media to reliably remove dirt and water from diesel and gasoline fuels. 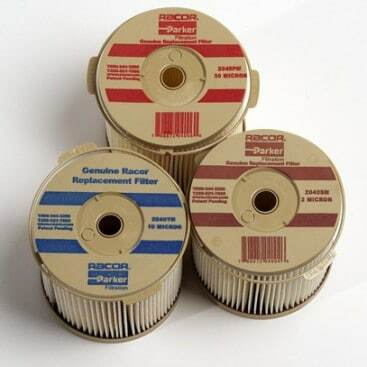 Aquabloc® media is pleated, corrugated, and arranged for optimum water rejection and longest service life. 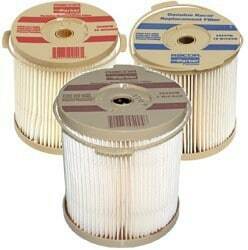 Available in all micron sizes; 2-Micron, 10-Micron and 30-Micron. The 2020 replacement element can be used in the following turbine assemblies; 900-Series, 75900-Series, 77900-Series, and 79900-Series.